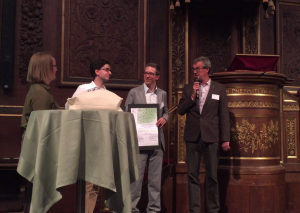 We participated on enviroInfo2015.org, the 29th International Conference on Informatics for Environmental Protection, under the topic “Building the knowledge base for environmental action and sustainability”. 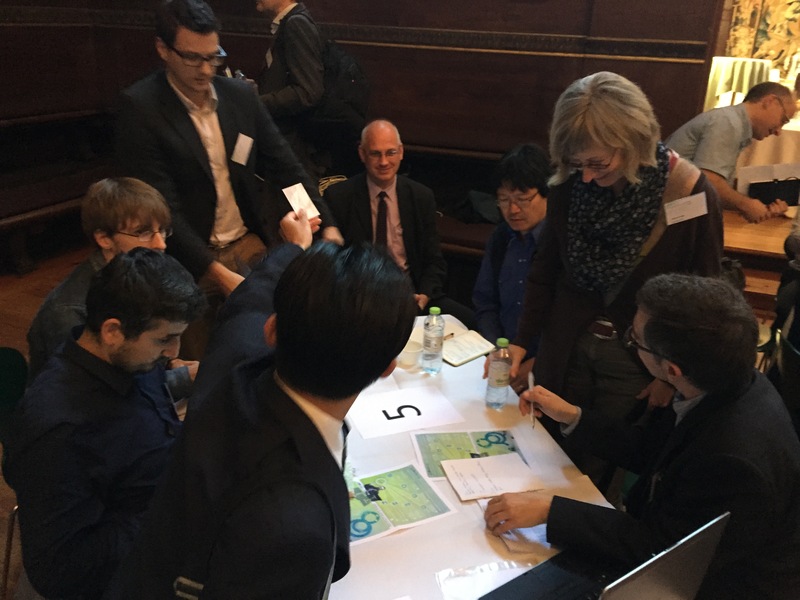 Target groups where researchers, decision makers, and domain experts on areas such as environmental agencies, environmental science, consultants and anybody concerned about the state of the environment and interested in the application of ICT for sustainable development. 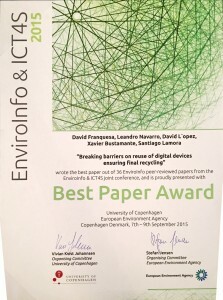 Our paper “Breaking Barriers on Reuse of Digital Devices Ensuring Final Recycling” and poster “eReuse.org: an ecosystem for traceable reuse of digital devices in a circular economy” were accepted. 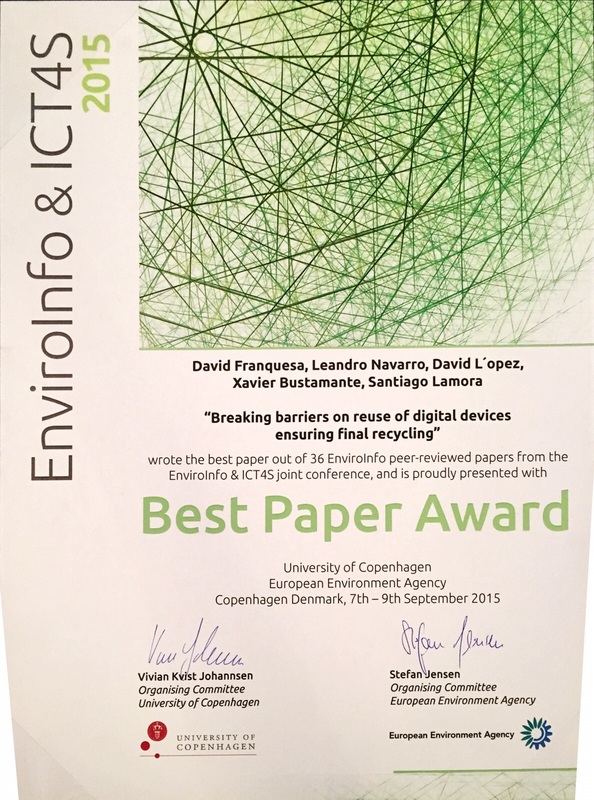 The paper won the Best Paper Award out of 36 peer-reviewed papers from the EnviroInfo2015.org conference. It was presented in a plenary hall and discussed following a ConverStation format, with each presenter presenting their results to a table of 6-8 attendees and leading a discussion with them, repeating this 3-4 times with different groups of people. The feedback was very positive about this approach, leading to more valuable conversations than traditional presentations.